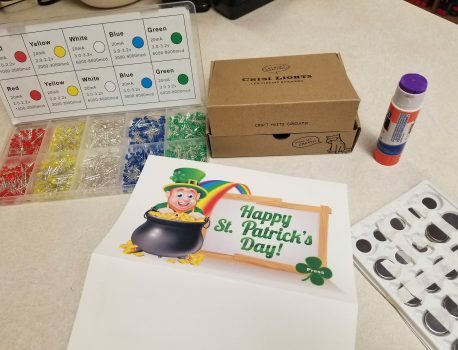 Light Up St. Patrick's Day - LIFun4Kids - Build it and they will learn! Use the provided template for correct placement of the copper tape, LED light, and coin cell battery. 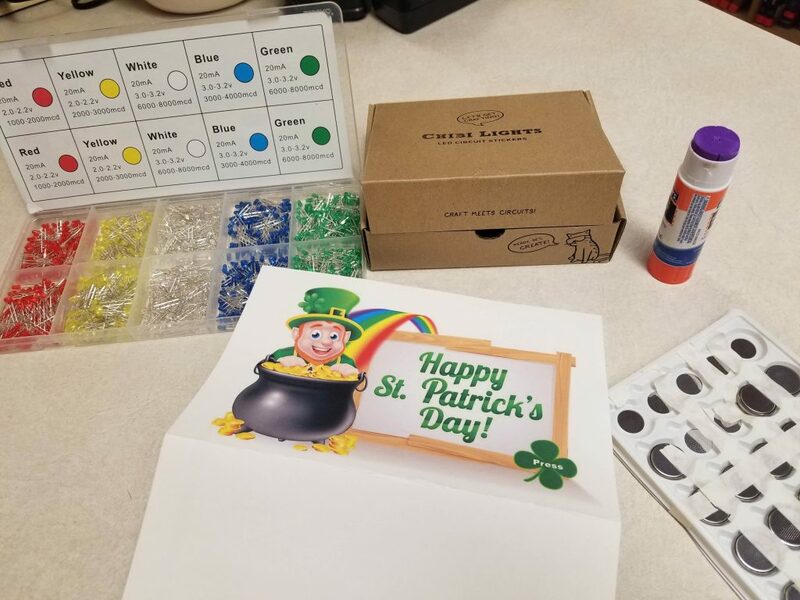 Create an Interactive St. Patrick’s Day Card! 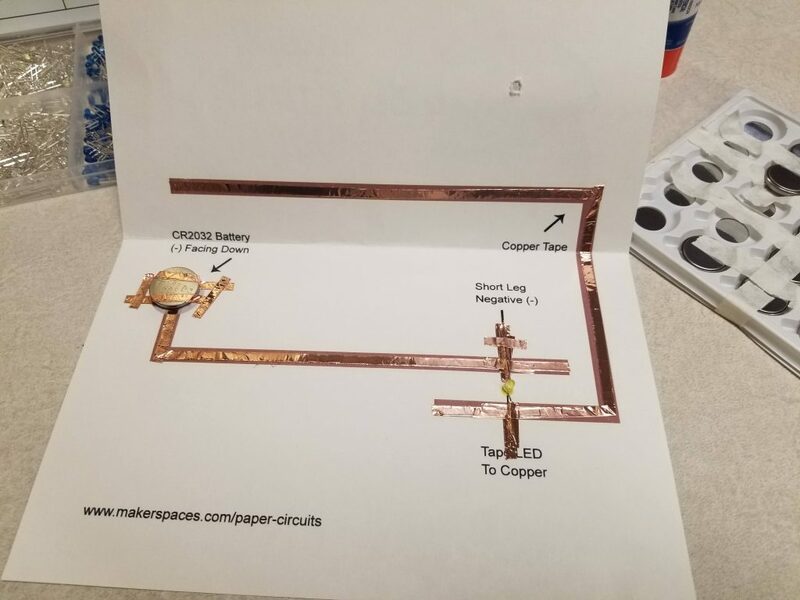 Find the directions and project template on the Makerspaces.com website.